Weymouth really does offer something for everyone, and is the perfect place to spend leisurely days unwinding at your own pace. Weymouth was developed as a resort by the Georgians and has also been a successful port and fishing harbour, so there is a good range of facilities, both practical and frivolous. If you tire of town, the South West Coast Path passes the marina and you can soon be walking rolling cliff tops. Walk from the marina into Weymouth to the beach, it's five minutes if you dawdle. Turn left towards Lodmoor for the Sealife Park and Sandworld – both great if you have children to entertain. Alternatively, turn right down the Esplanade to see what's on at the Pavilion. Take a trip up the Jurassic Skyline tower for a 53m (147 feet) high view over town, coast and countryside. Walk back down Custom House Quay alongside the old harbour, a great place to stop for refreshments. Cross the lifting bridge and back down to the harbour – there are plenty of back streets, pubs and small shops to explore. Brewers Quay is home to Weymouth Museum and lots of antiques and curios, perfect for whiling away an afternoon. Carry on to the Nothe Fort and park where you can quietly soak up the view, or get actively involved in history. Radipole Lake nature reserve is just inland of the marina and is home to all sorts of bird and animal life. There are hides, guides and a visitor centre to get you started. Dogs on leads are allowed. Hire a car or bike and you can enjoy more of natural Dorset. Chesil Beach is reached by the Rodwell Trail, and the visitor centre is a good place to start exploring. 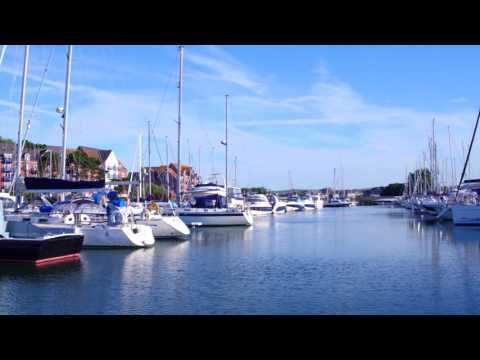 There is so much to do from Weymouth that we don't have room here – just ask the marina team for their local tips and suggestions. A mooch around in Weymouth Bay is a lovely way to spend an afternoon, admiring the white cliffs of Purbeck and the green hills of Dorset. Famous anchorages east along the Jurassic Coast include the perfect horseshoe of Lulworth Cove and the more open bays at Chapman's Pool and Worbarrow Bay. If you want to get on the water and try something completely different, why not have a go coasteering or paddleboarding? There are also plenty of dive and sea angling charter boats operating from Weymouth and Portland. A water bus service runs in the summer between Weymouth and Portland Marina – ask in the marina office for details.